Atlanta Beltline Tour ready for public. We are pleased to announce that we are opening beta-testing again. We are only going to test for a couple of weeks before releasing BeltTour to the store on March 31. 2) Wait for an email from “iTunes Store” (or “TestFlight”) inviting you to test BeltTour. 3) Open that email and click the link. This beta is the completed and unlocked app. The app will be free to download, but will have a single in-app purchase that will unlock the full tour. A partial tour will be available for free, without unlocking. We’re still working on exact pricing. 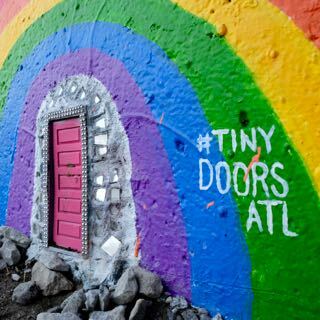 We recently met with Karen Anderson, Director of Tiny Doors ATL. She told some great stories, and gave us some amazing audio that we included in this beta.